Homemade Butter | Winners Drink Milk! 1. Fill a jar halfway with heavy cream (baby food jars work great for small batches; canning jars are great for larger batches). Then, screw the lid on tight. 2. Shake the jar up and down until the cream thickens and forms a ball. Continue shaking until liquid separates from the ball of butter. 3. Open the jar, and pour the liquid into another container; this is the buttermilk. Everything else is butter. 4. Add salt to the butter, if desired. 5. 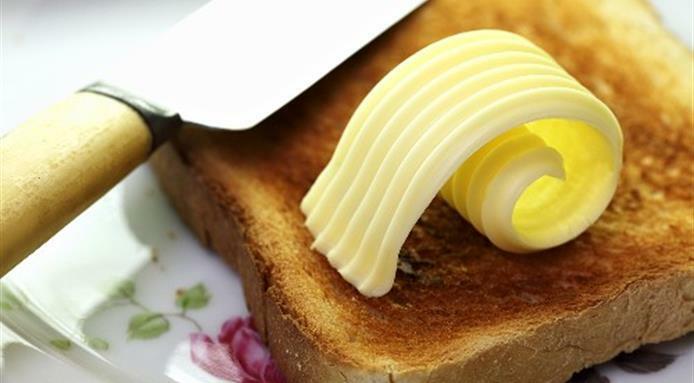 Refrigerate your homemade butter between uses to prolong its shelf life.